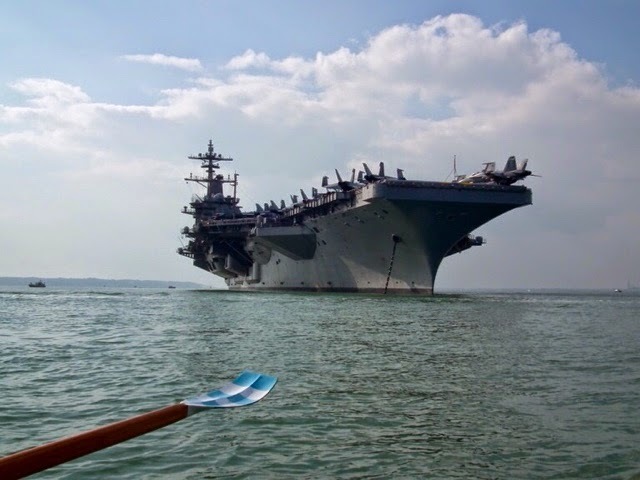 The monster aircraft carrier USS Theodore Roosevelt is visiting Portsmouth, so Langstone Cutters decided to row round it. 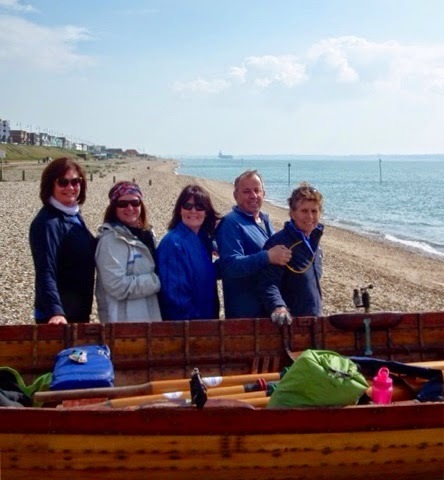 We launched at Lee-on-the-Solent, from which the ship was clearly visible, pulled south, dodged an LPG tanker in the shipping lane and got shoed away by the military police (commonly known as the modplod) in their rib. They looked bored out of their skulls. Then we went home. The weather was only a tad away from being idyllic.